You'll fight trough some transport disaster's areas and urban zones. Map made for a Doom/Boom format tournament that was canceled. Primary purpose         : Single Player. Description             : You'll fight trough some transport disaster's areas and urban zones. Map made for a Doom/Boom format tournament that was canceled. modifications) from the wad "Action Doom" by Scuba Steve. * Gas station textures where taken from the wad "Doom City" by Shams Young. * Many textures are from Blood, Transport Tycoon, Hexen. * Many other textures made by me. -Vavoom: Some visual effects looks very ugly. -Other openGl ports could have the same Vavoom's behaviour. Jumping is supposed to be useless. New levels              : 1 level. Other files required    : Nothing. 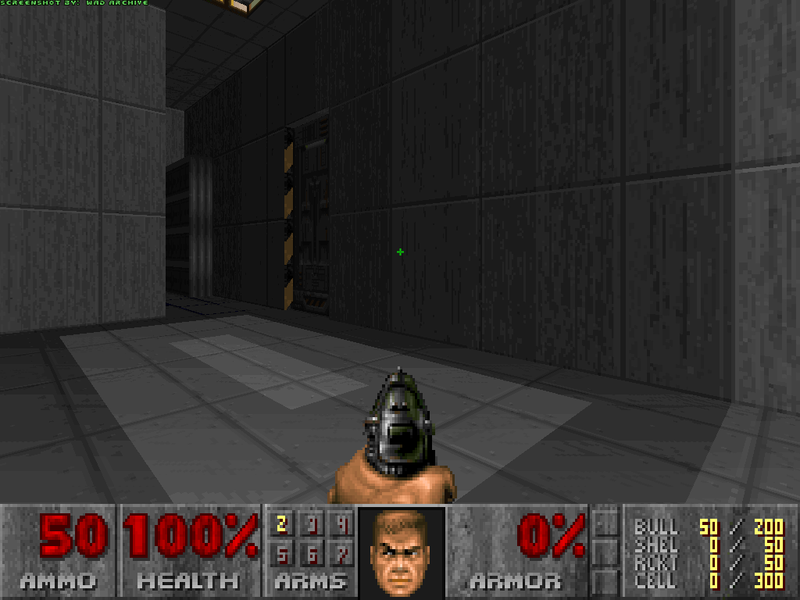 Game                    : DOOM2.wad with a limit removing port. Single Player           : Designed for. Deathmatch 2-8 Player   : No. Other game styles       : No. Editors used         : Doom Builder, Wintex, MSPaint, Photo Filtre. May Not Run With...     : See the compatibility notes, above. give the credit to the original author. no modifications. You may distribute this file in any format. modificaciones, del WAD "Action Doom" de Scuba Steve. "Doom City" de Shams Young. * Las demás texturas son hechas por mí. modificaciones) del wad "Dystropia 3"
Descripción: Un mapa para Doom 2, principalmente de tipo rutero/urbano. momentos en que deberán andar con cuidado. Juego                   : Doom 2 clásico (ver "notas", más abajo). Niveles de dificultad   : No. Editores usados         : Doom Builder, Wintex, MSPaint, Photo Filtre. y objetos que puse necesitarán un source-port (de todas formas ya nadie usa el doom2.exe). que hay dos texturas adyacentes no pensadas para un "mosaico". mal, serán unos 6 lugares puntuales. -Por lo que sé, otros puertos que usan OpenGl puede tener el mismo problema que el vavoom. a quienes encontraban en su camino, incluyendo al dueño de la empresa. desde grandes alturas sin sufrir daño (?). dale el crédito que le corresponda al autor original. o se invente en el futuro.